For you last minute shoppers, today I’m sharing a gift that doesn’t require you to go to the store or frantically order something online. 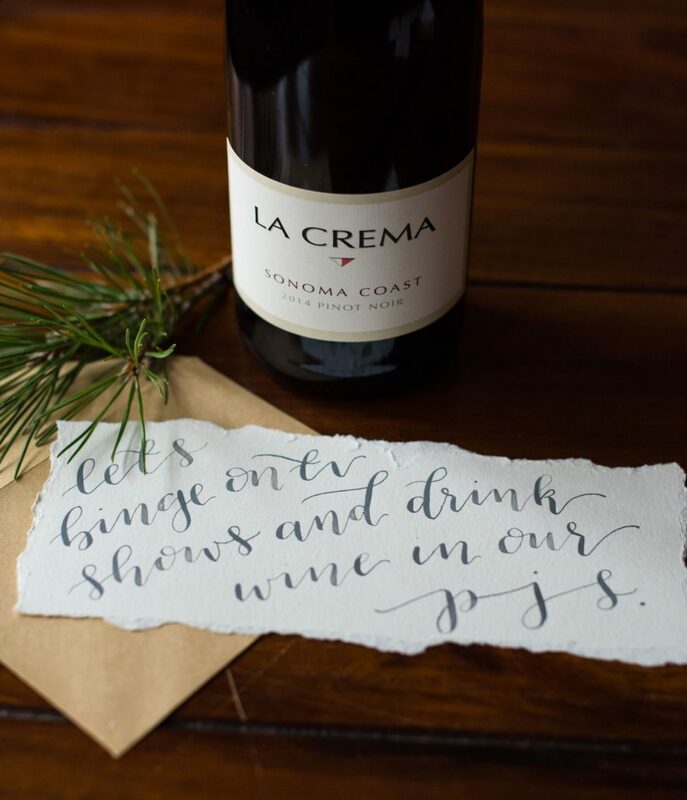 This is an even better gift: DIY coupons for anything from an evening of bingeing TV shows and catching up with your bestie, to a dinner on the town. 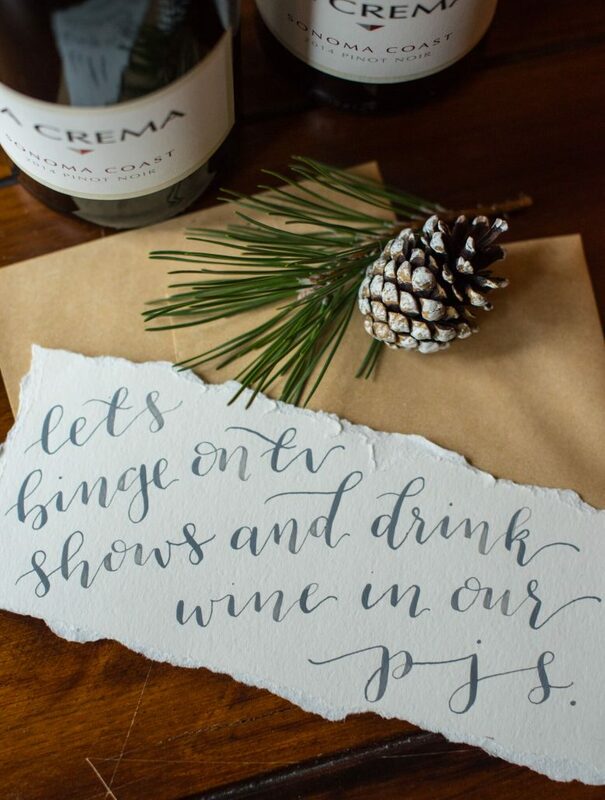 Best part is, all you need is some paper, a pen and you have a gift you can make yourself! 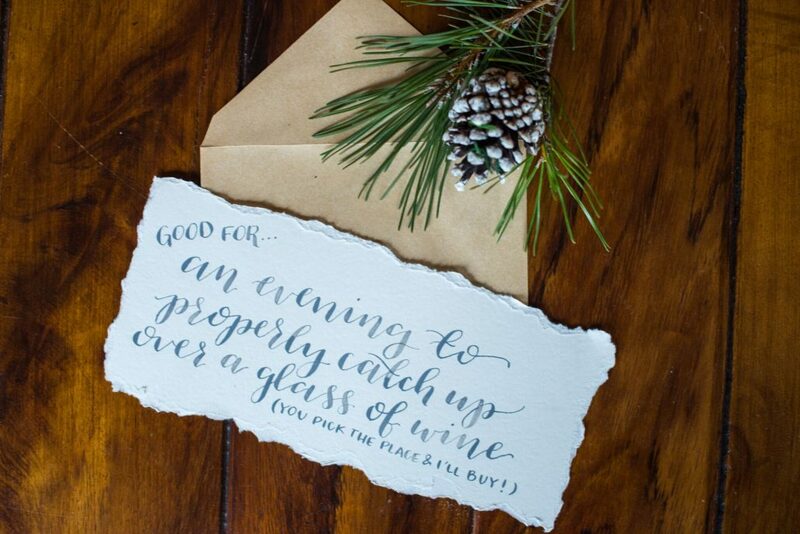 Just include a bottle of wine with it, and maybe some nice wrapping touches and you’re golden. 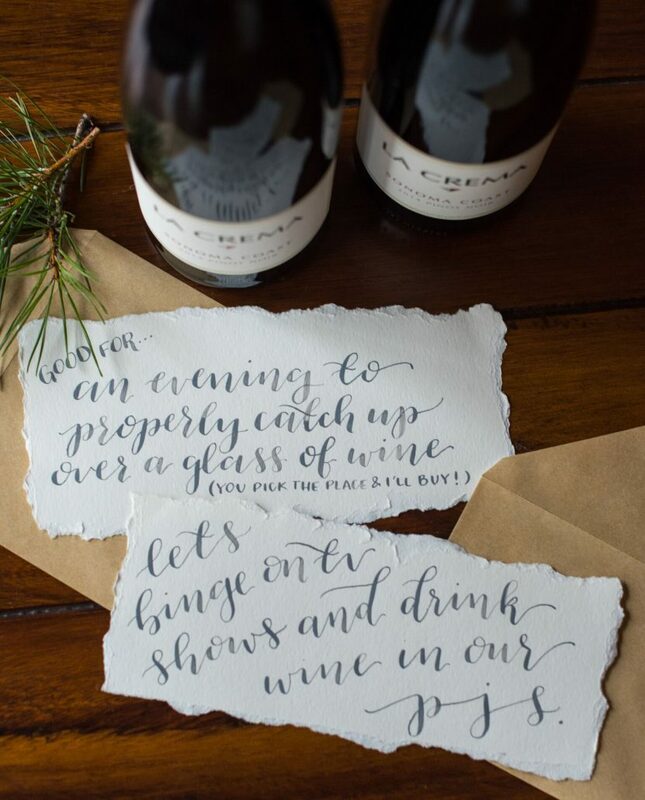 When it really comes down to it, the best gifts to give are the little gestures. Some of my favorite gifts I have gotten are ones that have taken me on an adventure or encouraged my friends and I to set a date to do something together. These ranged from a spontaneous trip, to a gift card to the movies, to a reminder for a date night in. All of them ended up creating the most wonderful memories which are even more priceless than a gift from the store. I will never forget a family friend of ours and I were talking about what I could get for Jeremy for Christmas one year. The best advice she gave me was to do something simple that is meaningful! I always use this as a rule of thumb when it comes to gift giving. 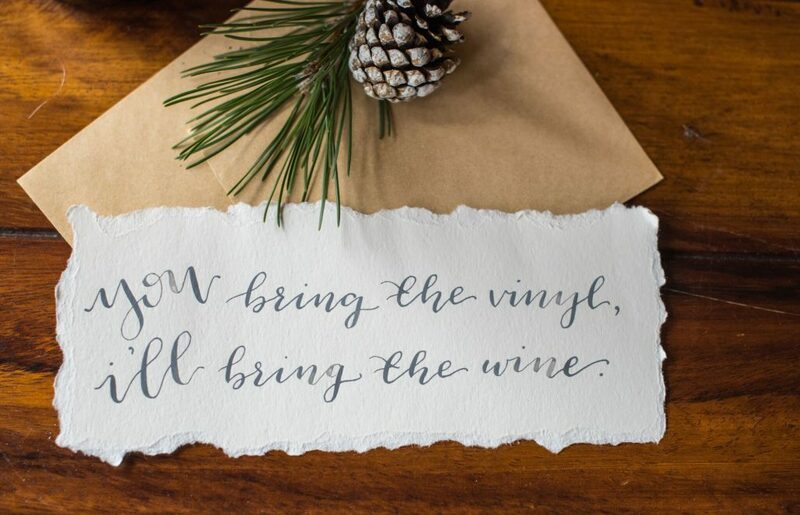 A simple gift to give this holiday season? 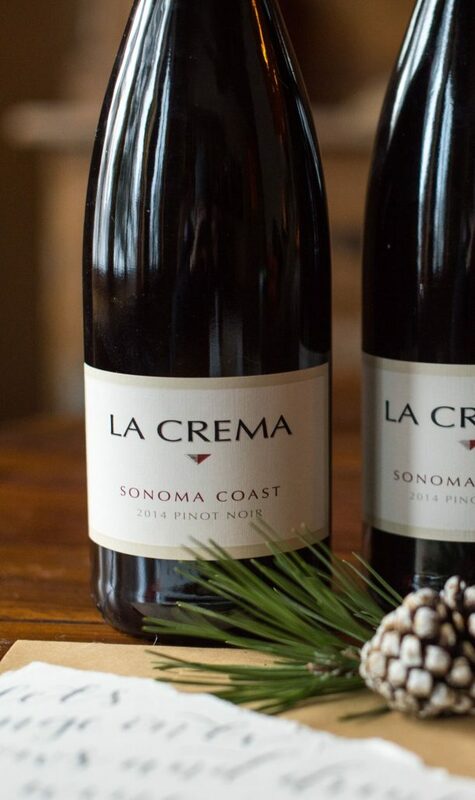 Well, we all love La Crema Wine (you know I sure do! ), so why not give the gift of DIY coupons. 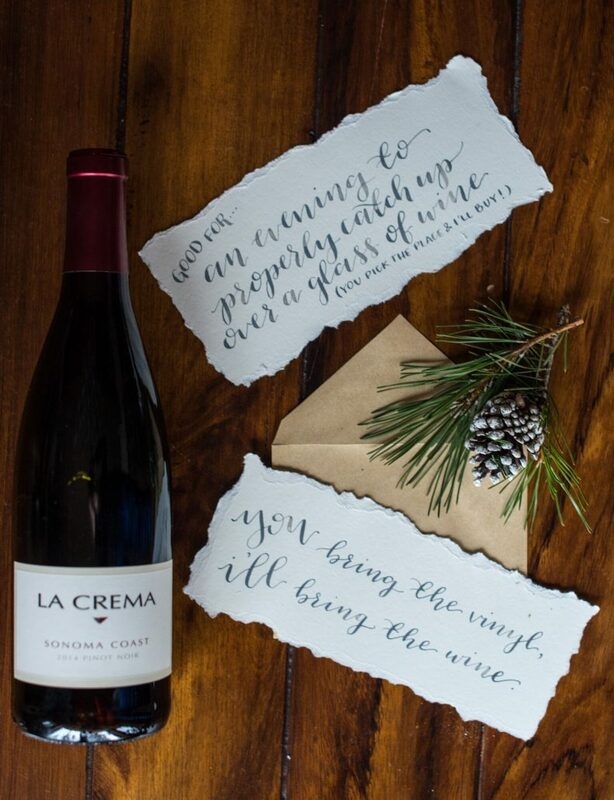 A simple gesture to remind your friend or loved one that enjoying a glass of wine with them is the best gift of all! I love these coupons MG Fancy Font created! Write out any of these phrases or come up with your own! 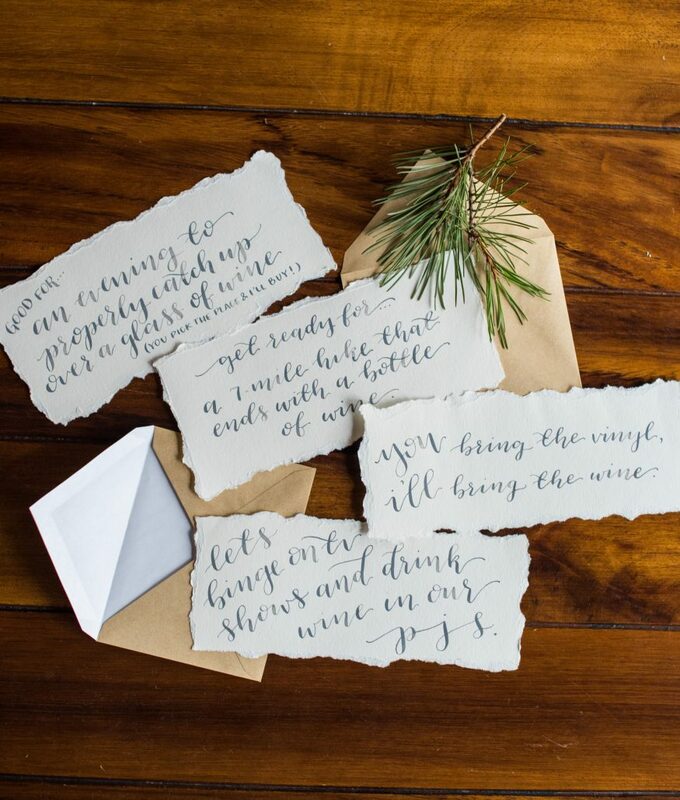 You can decorate the paper and put the DIY coupons into festive holiday envelopes. 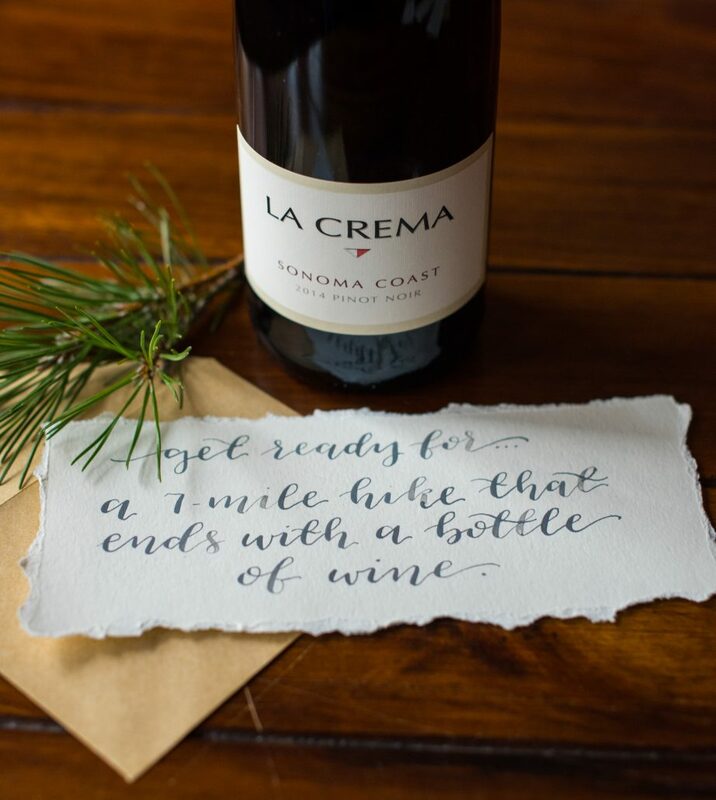 Give the coupon with a bottle of La Crema Wine, my favorite is the Sonoma Coast Pinot Noir, and you have a thoughtful gift that’s sure to make memories.